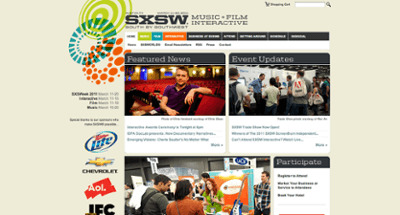 What's the Buzz at SXSW This Year? It's Tuesday in Austin, and SXSWi, popularly known as Geek Spring Break, is slowly wrapping up. Beyond the parties, this weekend is also an opportunity for the online community to come together and share big ideas. For many startups, it is the opportunity to showcase their ideas and possibly gain traction in the online community. There is no arguing that SXSW has become the launchpad for many startups. If you remember, Twitter was the buzz in 2007, and Foursquare was the hit last year. So, what should we expect this year's big breakthrough to be? In order to empower these online communities, you must connect them, something that is easily accomplished with Facebook and Twitter, but both of them have quickly become infested with noise. So, GroupMe, Kik and Beluga have made it their sole mission to solve the "noise" problem by making social media more personal again. Do a quick search for any one of these keywords in Twitter, and you'll see the hype around them, particularly GroupMe. In addition to the hundreds of tweets being posted daily about these platforms, GroupMe has received endorsements from big names such as the founder of PicPlz and the co-founder of Foursquare. So, for those that are currently looking for what is popular today, look into location-based services like Foursquare and Gowalla. But, if you want to get ahead of the game and be prepared for what the masses will be using in a year, I'd put my money on one of these social messaging platforms. Now is the time to develop a strategy that strives to give your customers the power to do what they want, when they want, and share it with whom they want (and don't want). For more updates on new social media tools and tricks, follow us on Twitter, or visit our Facebook page.